It’s not a coincidence that April is proclaimed Child Abuse Awareness month, while May is deemed National Foster Care month– both have to do with children, both campaigns shed light on the plight of those most vulnerable among us, and we wouldn’t need the one if we didn’t have the other. Since 1983, the US created awareness of abuse and neglect among children, by providing education about the harmful psychological, emotional and mental effects of abuse, as well as, providing prevention resources for parents. Statistics show that 2.9 million cases of child abuse are reported each year. Besides the mental health/counseling services in place for the child victims of abuse and neglect, the foster care system was the government’s solution for temporary placement of these children. On any given day, there are nearly 500,000 children living in foster care. Foster homes give the biological families the time needed “to get better”, with reunification being the ultimate goal. How can the Church take on a social issue and bring healing to it? James 1:27 states that pure religion is caring for orphans. The Church should be prepared. The first way the Church can be prepared is by recruiting couples to become foster parents. 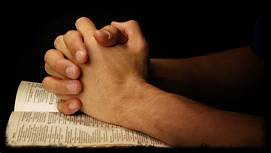 Spiritually mature couples who are called to the ministry of foster care can be the agents of hope and healing, through the power of the Holy Spirit. Secondly, everyone else in the Church has a role to play. There are endless opportunities to serve the families who foster, by helping with meals, transportation, babysitting, respite care, etc., using the CompaCare® model. If you are a monthly partner with Hogue Ministries, your support helps fund the resources and materials for churches to launch foster care ministries and for training the ministry teams. To learn more about the CompaCare® model, go to http://agfamilyservices.org/ministries/compacare. 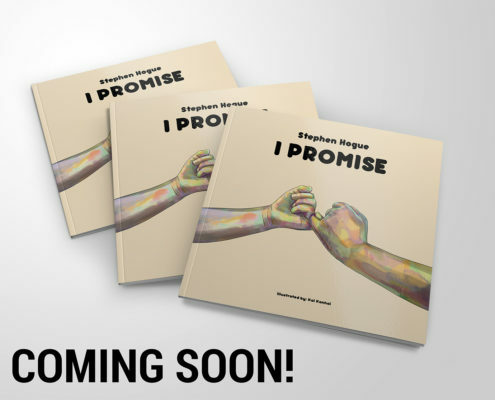 A new children’s book, written by Stephen Hogue, is on its way! I Promise is a book about how people can break their promises but God never breaks His. Set to be released in May! For book signing opportunities, please visit our website for locations. Do you know a young person who is looking for an opportunity to learn about US based orphan care? Who has a heart for foster children? Is gifted in administration? Please share this with him/her: https://hoguecrew.org/internship/ for more details and to sign up for more information. Click to the YouTube icon to visit and subscribe to our YouTube channel. Previous PostWHY ISN’T CHURCH DOING FOSTER CARE MINISTRY?